During my pre-hospital days, when I still hung out with a lot of ‘the system people’, I had been if not an ‘honorary Jew’ then certainly a sympathizer. Therefore it often happened that my Jewish friends and acquaintances did not mind my presence when they felt like saying an honest thing or two about the ‘damned natives.’ I never argued with them but listened with interest. Here are a few examples. I always found ‘out of the blue’ remarks by Jews on the nature of Jewish intelligence fascinating. Once, a Jew remarked ‘Oh, but it is easy to recognize a Jewish artist even if he uses a non-Jewish last name. The Jews love to use brown colors. I don’t know why but they do. It is so often brown, brown, brown!’ Musicians theorized about music: ‘Oh, but why bother to learn to play an instrument if they (goyim) cannot tell the difference between good and bad music? The crazier you play the better! Look at all those free jazzmen! I am not sure if any of them knows how to handle their instruments correctly, but what holy racket they make! You’ve got to be a near genius to play that bad!’ I also talked with abstract painters. Their approach was equally simple: make it look as crazy as possible! It seemed that for these people ‘simplicity’ and ‘craziness’ were the two major ingredients of any well-conceived creative art. ‘If you write poetry, write gibberish. The stupider you can make it — the better! People would always try to decipher some hidden meaning of such music (for example) even if it sounds like farting and screeching!’ To make it absolutely the best, do it under the influence of drugs. Only drugs can liberate true creativity and craziness. One cannot make anything truly crazy or ugly without drugs. They take away inhibitions and common sense. Naturally, they spoke with arrogant disdain of those who possessed any skills. ‘Him? A musician? Oh no, he is just a sportsman’ (a way of denigrating a musician would could play really fast!) A realist artist? But he is just a bad photographer!’. Towards the late 1980s, the Soviet media finally admitted the existence of ‘the system’, but it still refused to see it for it was — an underground subculture. From the old school ideologists’ point of view, a Soviet underground culture simply could not exist because it was incompatible with ‘proletarian culture’. Therefore, the authorities simply labeled it a weird teenage fashion, or they analyzed it as isolated incidents of ‘antisocial’ youth behavior. Yet, some concerned parents weren’t satisfied with such explanations. They saw that their children were developing strange habits, wore weird hairdos, listened to crazy music, read strange books, developed an interest in Eastern philosophies and, what was the most horrifying of it all, talked about politics and used drugs. Thus, these parents began to wonder what ‘the system’ truly was. Was it an informal underground organization? Was it a criminal mafia or an illegal political party? A drug ring? A teen gang? What was it? Once again, the Jewish members of the Soviet intelligentsia knew well what ‘the system’ meant and what their kids were up to, as many of them actually encouraged drug use (‘taken in moderation, it’s better than drink’), political dissent and alternative lifestyles. But if ‘the system’ was a form of protest of the younger generation against the oppressive regime, what were they protesting against? What was it that they found so bad about the Soviet system? A clear answer to this question does not exist. The movement only becomes clear if one discusses the Jewish sensibilities of its core members. Of course, some of the sentiments of Jewish ‘systemnys’ could be labeled as liberal, although they are a far cry from what passes for liberalism now. On the other hand, and I know it from experience, the Soviet Jews weren’t big proponents of multiculturalism. In fact, their attitudes were mostly permeated with a sense of racial superiority, especially towards African students or any national or racial minorities. Their liberalism was most apparent in their attempts to form alternative institutions, such as Jazz schools, musical clubs, artists’ associations and unions — all institutions where Jewish creative genius and their social networking reigned supreme. Also, there were cliques of likeminded people who formed informal circles inside their places of employment or study. 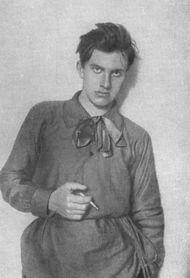 There were outcries among students to liberalize academic programs (e.g., to make Freud a larger part of the curriculum), to allow access to information (mainly the works of liberal authors), to make abstract art an official form of art in the Soviet Union (instead of Social Realism), and to disband state-run Music Unions and let rock bands take their place. There wasn’t any talk about allowing free markets or even partially abolishing the absolute state monopoly on sales and production. There were constant complaints about Soviet politics and about the regulations regarding emigration laws; a lot of ‘sistemnys’ wished to be granted the freedom of movement — the right to leave the country or to travel abroad freely. In the end, ‘the system’ did not leave any visible marks on the cultural life of the USSR. Indeed, it’s surprising that such a large gathering, a counterculture, an enclave of so many poets, artists, and musicians failed to produce anyone of importance. ‘Sistemnys’ were ready to hail each other as true creative geniuses. This, of course, is a good Jewish tradition: you could hardly find a Jewish family where the parents don’t regard their child as a ‘prodigy’. However, to quote another Jewish member of ‘the system’, ‘art is long lasting, but I am not; so I decided to stop playing music and start making money’. In the end, doing well at business would always be the first choice of these creative geniuses, and it’s no secret that the financial and business life of the new Russia is heavily Jewish, although I cannot say whether the newly hatched businessmen had been promising artists in Soviet times. On the other hand, ‘the system’ managed to turn so many of the best and brightest non-Jewish young men and women into wrecks that one cannot help but to wonder —was that its purpose?